Links Labels & Tapes are manufacturers of labels in all shapes and size, both standard and bespoke. Tapes are also bespoke but are in standard lengths and widths, on rolls. We are an independent company serving all industry types and from small to multi-national. Our history dates back more than 40 years including several mergers and acquisitions. During this time we have gained a wealth of knowledge and experience that we are only too pleased to use in order to meet your needs and special requirements. 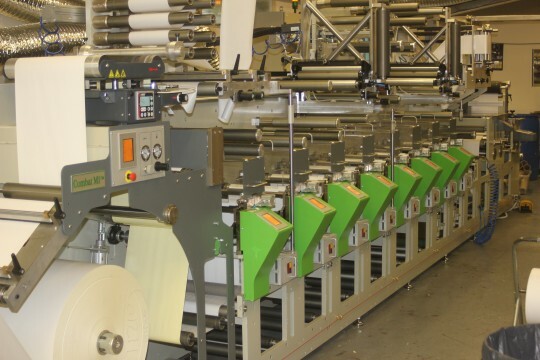 We have an extensive range of modern, sophisticated and technical machinery which allows us to manufacture innovative, complex and demanding products but it also means we produce to the highest quality and with keen lead times and prices, which applies to the more simple products. Nothing is too much trouble. We are fully committed to our trade and the service our customers expect, acknowledging that you are the most important person in our business and we will treat you as we would wish to be treated ourselves. We continually invest in and manage our business to improve our operations with you and our Environmental responsibility in mind. We are proud of our management system and the ISO 9001 & 14001 accreditations we have held for some time.